This is a sweet, not pink, not purple color that is a sophisticated alternative to pure pinks. More of a dusty rose, it is a little too brilliant to call it that, especially with the soft hand and beautiful shine so typical of Bamboo. 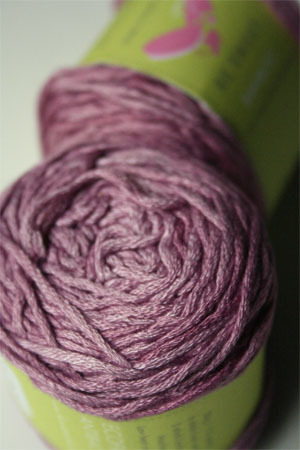 This yarn is fab!